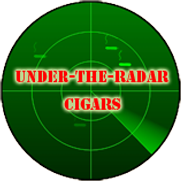 Become A Cigar Flavor Detective! Cigars are consumable art. We use all our senses when enjoying a fine puro. For many of us, discerning the subtle flavors of a fine cigar is not easy. On the surface, a cigar tastes like tobacco. Sure, we can tell if we like it or not, but to deconstruct the elements within a cigar’s flavor profile requires, experience, imagination, and the right set of circumstances. Here we will explore some techniques to help sleuth out the hidden elements of cigar flavor, so that even a novice smoker can become a cigar flavor detective. Before you light a cigar, admire it. Feel it. Get in touch with it as a work of consumable art. How a cigar looks can spark your imagination and enhance your smoking experience. Next, smell it. Does it smell fruity, tangy, smoky? Although the “cold nose” of a cigar doesn’t always foreshadow its flavor, it can suggest nuances that may emerge as you smoke. Now, cut it and draw through the unlit cigar. Here we experience the tobacco in its raw state. This is our first glimpse of the flavor components we will experience as we smoke the cigar. Even after lighting, much of what we taste will come from the unlit tobacco. The art of lighting a cigar. When I first started smoking, I lit the cigar as I had seen in the movies. Using a match, I would puff and puff, until the foot would erupt in flames. I learned early on that this method got the cigar going, but also burned out my palate. Instead, I found that by toasting the foot with a torch lighter, and blowing on the ember, I was able to light the cigar with a perfectly symmetrical burn. This make the first puff more enjoyable and saves my palate. Once lit, it’s important to sip the cigar. Draw a small amount of smoke over your tongue, then immediately let it out. By taking a huge puff, and blowing it out slowly, you overwhelm your palate with nicotine and toxins. 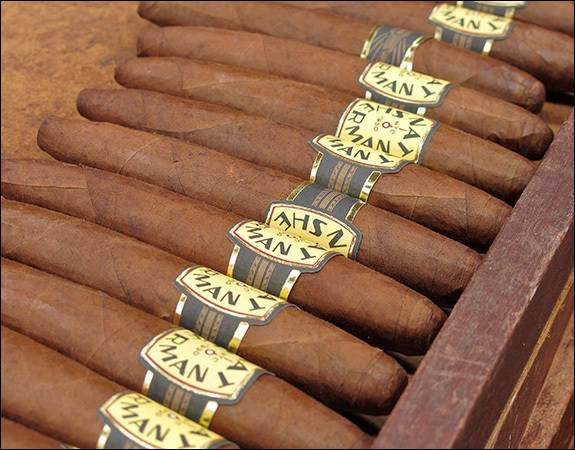 This hides the subtle flavors we look for when we want to fully enjoy our cigars. The tongue is where we taste the five elements of flavor: salty, sweet, sour, bitter, and umami. The smaller the sip, the bigger the flavor. Pairing cigars with a beverage is a great way to enjoy a fine puro. However, what we drink influences its flavor. If you want to objectively analyze the component flavors of a cigar, pair it with water. It’s not as much fun as a scotch or beer pairing, but the palate cleansing effects of water will allow your tongue to taste all the flavors within a cigar’s blend. I like to start with water, smoke an inch or two of the cigar, and then go for something more fun. That way I get to taste the cigar first, and then decide which beverage to choose. Start with a clean palate. The lingering taste of a meal can influence cigar flavor. So, it’s a good idea to cleanse your palate before a critical cigar smoking session. Fruits like grapes or blueberries work well for this, as they stimulate the salivary glands and help wash away residual food still in the mouth. Because we cigar smokers don’t inhale, there can be a tendency to hold our breath when we smoke. But the act of breathing and puffing on a cigar is actually independent. We draw smoke into our mouths with the motion of the tongue, not the lung. This enables us to breathe through our noses while taking a puff. It’s important to remember to do this if we want to fully enjoy the complexity of a cigar’s blend. After all, our olfactory sense works in conjunction with our taste buds to discern flavors. That’s why it’s hard to taste anything when we have a head cold. Don’t smoke in the wind. The aroma of a cigar is a large part of how it tastes. Although we aren’t deliberately sniffing the lit end of a cigar, we experience its aroma simply through the act of smoking. It’s a subtle thing, but in a windy environment, when the aroma escapes, it’s almost impossible to enjoy a cigar. Plus, the wind causes a cigar to burn unevenly. In order to taste the full complexity of a cigar, all the different tobaccos of the wrapper, binder, and filler must burn at the same rate. This is worth mentioning because many of my cigar friends swear by it. I personally don’t get much benefit from retrohaling. This is the practice of exhaling the smoke through your nose. It takes some getting used to, but gets your nose involved in a big way. Here too, a small amount of smoke is best, and do this sparingly. Retrohaling is not a substitute for good cigar smoking practice. In addition to all the things mentioned earlier, one of the most helpful tools in identifying cigar flavors is the Cigar Flavor or Aroma Wheel. There are many versions floating around the Internet, and all are good. The one I like is from Cigar Sense. 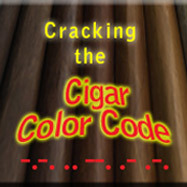 It’s easy to read and suggests flavors we might pick up from a cigar but can’t quite identify. Lastly, to be in touch with the nuances of cigar flavor, it’s good to let your imagination go wild. Pretend you’re a kid again, let go of your preconceptions, and don’t be afraid to taste things no one else would. Cigar smoking is personal, it’s highly subjective, and what we pick up in cigar flavors can be uniquely our own. I hope these suggestions will enhance everyone’s cigar smoking experience. This passion we share is deep, and exchanging ideas about how to better enjoy our cigars is always a fun pursuit. Wow! Nicely written. There are times when I just want to smoke as a method of relaxation and not worry about fine flavor details but there are times that I want to make the extra effort to discover those tasty nuances. Thanks for some great tips on how to do that.